With the holidays quickly approaching, it’s a good time to start your mornings off with a healthy festive peppermint protein filled smoothie. 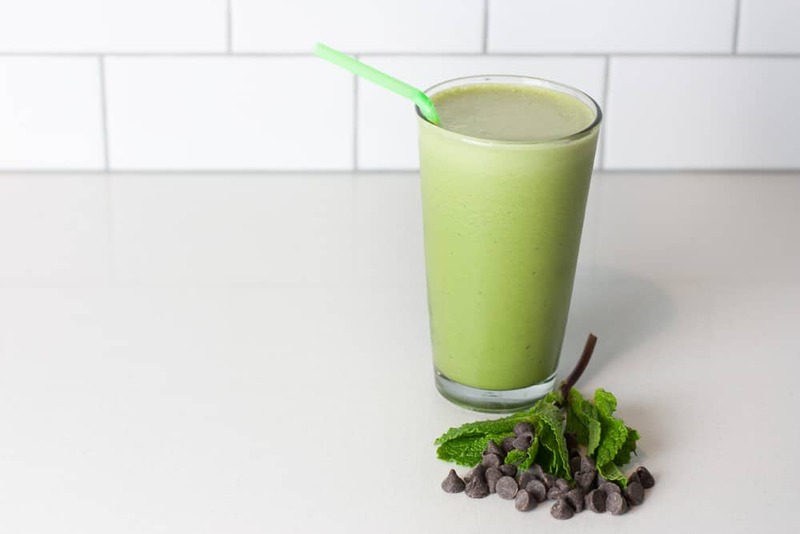 This smoothie combines fresh mint, banana, and spinach to make a refreshing, guilt-free treat. Combine all ingredients except chocolate chips in a blender and blend until silky smooth. Add chocolate chips and pulse until chips are finely chopped and serve.